In the wake of the closing of the Titan and Pollyanna blogs, we are continuing the charity corner here. This week, we are referring you to Unitaf, the social initiative of the Yehuda Tribitch Fund for Social Involvement, which operates a network of day care and after-school centers for the children of migrant workers and asylum seekers in Tel Aviv. 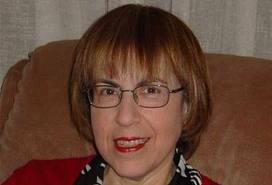 The initiative has a high transparency rating from Israel Gives. This week we call your attention to the expulsion of indigenous people from their ancestral homes in order to create parks. Survival contends that parks need people. The lives of tribal people across India are being destroyed in the name of tiger conservation. This is illegal under national and international law. And it will not save the tiger. Please act as requested in the site. Tourists will damage the tigers more than the local people. 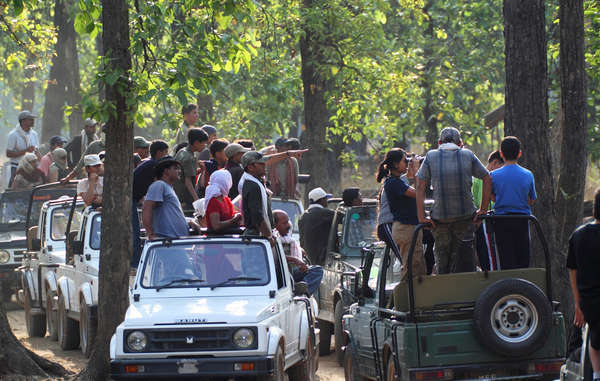 Tourists watching a tiger in Bandhavgarh National Park. This week we deal with palm oil and we focus on the Pepsico Corporation. We say:PepsiCo: Commit to Slavery-Free, Responsible Palm Oil! Pepsico uses much palm oil and has not make efforts in the past to ask how the cheap palm oil that it needs is produced. The campaign is ongoing. Campaign Update: We recently received PepsiCo’s new palm oil procurement policies. We commend PepsiCo for making a public commitment against forced labour in its supply chain but are calling on the company to: commit to 100% independent traceability of all palm oil, and effective, immediate enforcement, monitoring and independent verification at all levels of their palm oil supply chain to ensure that this commitment is implemented. Please join the campaign using the clickable form. Please note that Amnesty have changed their UA format to make it even easier to respond. 7,000 have died at the Nigerian military’s hands. Demand justice. Since 2011 the Nigerian military has arrested at least 20,000 people in north-east Nigeria on suspicion of being Boko Haram members. More than 7,000 suspects died in military detention from torture, starvation, disease or were simply shot. End the ethnic discrimination of Romani children in schools. Romani children in the Czech Republic are not getting the education that is their right. Please act. Persuade the South Korean authorities to stop the imprisonment of conscientious objectors. There are 10.000 of them in prison. Please plead on their behalf. Pope Francis is coming to Washington, D.C. to canonize Junipero Serra as a Saint. It is imperative he be enlightened to understand that Father Serra was responsible for the deception, exploitation, oppression, enslavement and genocide of thousands of Indigenous Californians, ultimately resulting in the largest ethnic cleansing in North America. Please join the call to stop the canonization of this evil man.